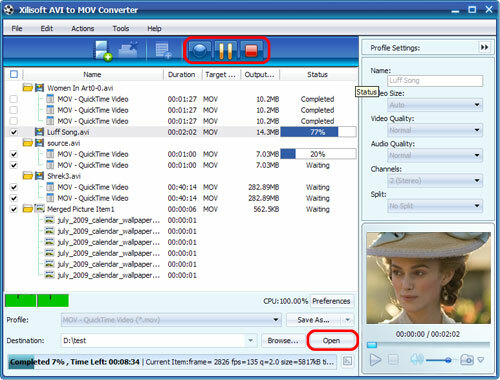 Xilisoft AVI to MOV Converter is designed to convert AVI to QuickTime MOV video. Here we will show you how to complete the conversion step by step. 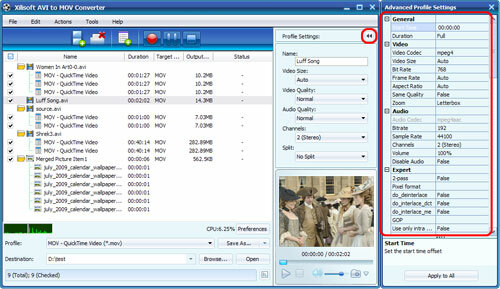 First, download, install and run Xilisoft AVI to MOV Converter. Tip1: Click "Snapshot" button below the preview window on the right-bottom of the main interface to take a snapshot during preview to save as JPG, GIF, PNG or BMP file. 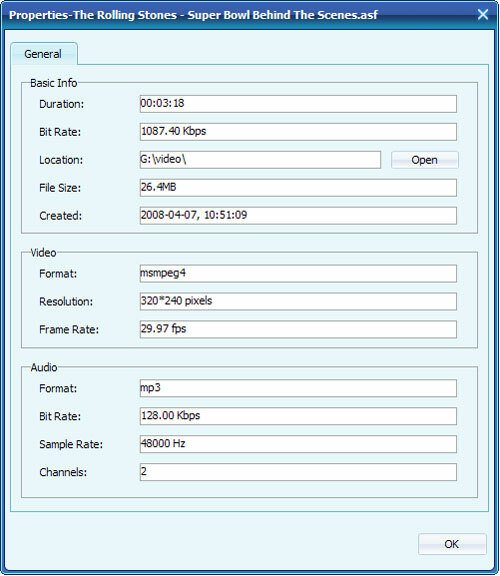 To customize the output file size, select the video file and click "Tools >Bitrate Calculator", and input the file size you want, then the video bit rate will be calculated. Click "OK" button, the size you enter will be displayed in the "Output Size" column.